Are you frustrated by finding nibbles on your food boxes and containers? Do you hear scurrying in your roof and walls throughout the day? Have you noticed rat droppings and urine inside and around your home? If you answered yes to any of these questions, you likely have a rat infestation problem. In some areas, rat infestations are often seen as inevitable. Critter Control® of South West Florida understands the serious issues associated with these rodents, and has developed comprehensive methods of removal, cleanup, and repair. Critter Control® is constantly learning new, safe, and effective methods of rat control to rid our neighbor’s homes and businesses of these unwanted rodents. Rats are notorious for being the carriers of many parasites and diseases that that are harmful and potentially deadly to humans. Diseases like Hantavirus Pulmonary Syndrome, and Leptospirosis are some of the reasons why wild rats and humans should maintain separate living spaces. Rats are also well known for doing damage anywhere that they go. They have constantly growing incisor teeth that they actively seek to shorten so they gnaw on electric wires, insulation, walls, wood, and sometimes even pvc / plumbing pipes. This behavior may cause electrical shorts, fires, flooding, or may even weaken the building’s structural integrity. In short, If you suspect a rat has taken up residence in your home, please call a professional immediately. Rat removal may seem like an easy undertaking, but proper eradication requires more than simply placing store bought rat traps. Seeking professional help is highly recommended when a rat infestation is present. Home and business owners may not be able to identify or reach all of the infested areas, and removing some but not all of the infestation site is like removing none at all. Inspection – Determine if, and what type of infestation exists. Find all previous and possible points of ingress. Put together a comprehensive plan, working with the home / business owner, that fits their needs and budget. Elimination – using repellants, fumigants, rodenticides or traps to remove rats from the premises. Exclusion – eliminating hiding places and closing all current and possible entry points. Remediation– cleaning and / or removing all materials in the affected area, post removal, to prevent further infestation or disease. Repair – Replace any materials removed (Wiring, wood, insulation, etc..) and return the area of infestation to as good or better condition as it was before the infestation. Critter Control® of South West Florida understands that rats are smart creatures that adapt to almost any environment. Their adaptability and persistence is what makes them challenging for an untrained individual to control. 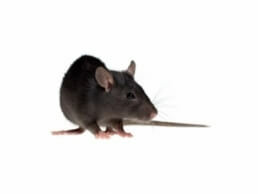 Let the experts at Critter Control® of South West Florida be your choice for your rat removal services. Call us at (239) 240-8069 to speak with our experts today!